Torrent (1926) Director: Monta Bell. Starring Greta Garbo and Ricardo Cortez. 5pm Pacific, 8pm Eastern. The Temptress (1926) Director: Fred Niblo. Starring Greta Garbo and Antonio Moreno. 6:45 pm Pacific, 9:45 Eastern. The Mysterious Lady (1928) Director: Fred Niblo. Starring Greta Garbo and Conrad Nagel. 8:45 pm Pacific, 11:45 pm Eastern. The Kiss (1929) Director: Jacques Feyder. Starring Greta Garbo and Conrad Nagel. 10:30pm Pacific, 1: 30 am Eastern. The Single Standard (1929). Director: John S. Robertson. Starring Greta Garbo and Nils Asther. 11:45 pm Pacific, 2:45 Am Eastern. Wild Orchids (1929) Director: Sidney Franklin. Starring Greta Garbo and Lewis Stone. 1:15 AM Pacific, 4:15 Am Eastern. The Saga of Gosta Berling (1924) Director: Mauritz Stiller. Starring Lars Hansen and Greta Garbo. 3:00 AM Pacific, 6:00 Am Eastern. The Gold Rush (1925) Director: Charlie Chaplin. Starring Charlie Chaplin and Mack Swain. 6:15 AM Pacific, 9:15 AM Eastern. Sunnyside (1919) Director: Charlie Chaplin. Starring Charlie Chaplin and Enda Purviance. 8am Pacific. 11 am Eastern. The Battleship Potemkin (1925) Director: Sergei Eisenstien. Starring Alexander Antonov and Vladimir Barsky. 3 am Pacific, 6 am Eastern. Flesh and the Devil (1926) Director: Clarence Brown. Starring Greta Garbo and John Gilbert. 5pm Pacific, 8pm Eastern. Love (1927) Director: Edmund Golding. Starring Greta Garbo and John Gilbert. 7:15 pm Pacific, 10:15 pm Eastern. A Woman of Affairs (1928) Director: Clarence Brown. Starring Greta Garbo and John Gilbert. 9 pm Pacific. 12am Eastern. La Bohme (1926) Director: King Vidor. Starring Lillian Gish and John Gilbert. 1:30am Pacific, 4:30am Eastern. The Best Man (1928) Director: Harry Edwards. Starring Jimmy Hertz and Joy Lind. 9:30pm Pacific, 12:30 am Eastern. Thundering Fleas (1926) Director: Robert F. McGowan. Starring Our Gang. 9:51pm Pacific, 12:51am Eastern. Bright Eyes (1922) Director: Malcom St. Clair. Starring Dave Anderson and John J. Richardson. 10:11pm Pacific, 1:11am Eastern. The Gold Rush (1925) Director: Charlie Chaplin. Starring Charlie Chaplin and Mack Swain. 5pm Pacific, 9pm Eastern. King of Kings (1927) Director: Cecil B. De Mille. Starring H.B. Warner and Ernest Torrance. 10pm Pacific, 1am Eastern. Not Garbo related, but with the silent movie schedule up I just want to mention there is also still Silent Sunday Night on April 28. They will be playing a foreign silent from 1933 called Passing Fancy. The print of GOSTA BERLING'S SAGA run on TCM yesterday had a Janus Films logo -- is a Criterion release in the works? "If you lose this war, don't blame me." LOVE was just on TCM, and the live recorded score (taken from a UCLA screening) was appalling. Aside from being terribly repetitious, there is inappropriate laughter breaking out at dramatic points in the film (it is a tragic romance, after all), and I cannot fathom how Warner thought this to be the score to use for the Archives release. I taped Love last night but have not yet watched it. I see that Love is available through Warner Archives. Was the same score used on the DVD? I know we have discussed on this forum the idea of simply taping scores played live at screenings as an inexpensive way for TCM to obtain a score so that at least films can be shown. Much like the other thread of Colleen Moore films that are not shown due to lack of a score. Audience reaction would invariably go along with taping a live score. Was this by chance an attempt/experiment with doing it that way? "Hey, we got a score for Love?" "Just this one from a screening." Yes, it was inexplicably used for the DVD too. The audience reaction involves recurring laughter at dramatic or sad points in the film. I honestly thought there was a mistake in the score, because it made no sense why there would be laughter at such moments. Take out the audience and you're left with a rather dull, monotonous score (particularly the use of the brass section), but it would certainly be infinitely more tolerable without the laughter. Believe me, when you hear it, it's akin to canned laughter, and you get the feeling the film is being laughed at, which really hurts how one experiences silent films in particular. If I were watching THE BIG LEBOWSKI, I wouldn't care less which random moments in the film audiences members collectively laugh at, even if the timing feels off, but a Garbo film? Particularly LOVE, which has far better performances from both Garbo and Gilbert than in FLESH AND THE DEVIL. Ironically, the one scene I actually thought would feature laughter had none at all (the horse racing scene in which a delirious Garbo reacts to Gilbert racing in excess hysterics –– the only exaggerated moment in her performance). Does anyone know why "As You Desire Me" is missing from the Garbo schedule? It's not on DVD either. Is there some copyright or litigation going on that is keeping this film away from public viewing? It hasn't been shown on TCM in around 12-13 years yet it's an MGM film. I had never given Garbo much of a chance before. So famous as a goddess I just did not think her films would be very interesting if it was just a matter of showcasing her in various fancy gowns and her being the object of affection/pursuit by various men in films. But, I decided to give it a shot and taped a bunch of her silent films on TCM and was very pleasantly surprised. They were not what I was expecting and overall quite good. I particularly enjoyed Torrent and Mysterious Lady. I also recorded one of her talkies to try and that was Ninotchka, which is quite famous. Honestly I have had it in my recorded queue twice before but ended up just deleting before watching. This time I would actually watch. But, as of twenty minutes or so into the film I was not at all taken in by the movie and deleted it. I know that is a strange reaction because it is Garbo and because Ninotchka is such a famous movie. But, I guess I am just in the minority on this film. Not in the minority at all, it's a film I've never been able to warm to either. One of the first film books I ever read was Otto Friedrich's City of Nets, which counted it as one of the great films of 1939. I watched with great anticipation, and ... nothing. But then, I run hot and cold on Garbo. I sometimes suspect that her legendary sense of mystery was a bit of a con, and she knew it, and milked it. To each his own, I guess. NINOTCHKA--to me--is one of Garbo's (and Melvin Douglas's) greatest films. Funny, romantic, beautifully written, lovingly performed, buoyed greatly by the synergy of Lubitsch and Billy Wilder. Even Bela Lugosi is good. Plus the incomparable trio of Sig Ruman, Felix Bressart and Alexander Granach. Certainly, NINOTCHKA is much more alive and convincingly romantic than many of her late MGM silents (which often had weak, unconvincing leading men and tortured plots). NINOTCHKA always has and always will be my favorite Garbo film. The deadpan humor is everything. QUEEN CHRISTINA is a close second. I really am not too fond of her talkies, to be honest. CAMILLE is great, ANNA KARENINA pretty good, ANNA CHRISTIE a decent early talkie version of a classic American play, and CONQUEST okay historical romance. QUEEN CHRISTINA is too arch for me. I've got a large lady's shoe-load of Garbo films on my DVR now, and decided to watch Two-Faced Woman, her final bow, last night, because I wanted to watch something light, which limits you in the case of her filmography. Realizing the film was a bomb at the time, I figured it would at least have some novelty value, although whatever chemistry Garbo and co-star Melvyn Douglas had in Ninotchka, it does not rear its head here. But I still enjoyed it for fun turns by Roland Young as Douglas's business partner, Constance Bennett as Douglas's old flame and a young Ruth Gordon, who steals every scene she's in. Garbo is OK in the farcical plot about a woman trying to trick her husband into pseudo-infidelity by pretending to be her own twin sister, but her heart doesn't really seem to be in it. I do like her famous dance number, which is the best-known scene in the film for good reason, but you can almost feel like she has one foot out the studio door before the film has wrapped. Just wondering if anyone else out there watched this one on TCM this month, there was something weird about the soundtrack on the version I saw, strange distortions and noises that seemed to be a flaw in the version they were showing, but could also have been related to the signal or something else. I'm also going down the GARBO list this month, checking out titles I had missed and revisiting a few others. Anyone here know if it was originally released with a synchronized track - and if any of that track is known to survive? But the opera performance at top of the film is clearly TOSCA. And, presumably, Garbo warbles a bit of "visi d'arte" for Nagel when she bewitches him in her lair. I don't believe The Mysterious Lady was given a synch score at the time. It opened in Los Angeles in late July 1928 (a few days before the premiere of White Shadows in the South Seas, the first MGM to have a soundtrack) before going into general release on 4 August. 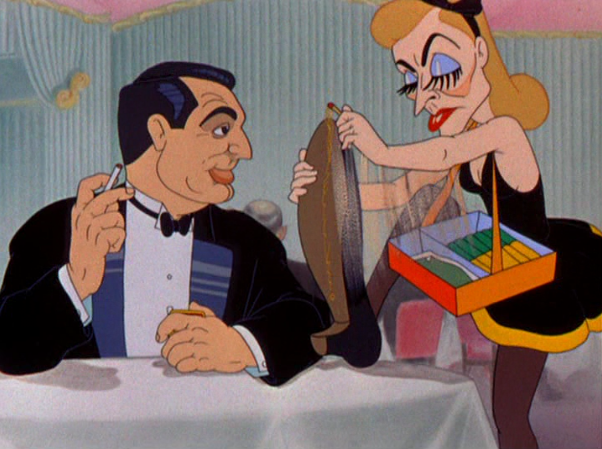 Everything I know about Garbo's feet I learned from Warner Brothers cartoons. Thanks, Harold. That makes sense. TCM is usually loathe to commission scores for silent that were originally issued with tracks. But why the composer opted to completely ignore what is obviously meant to be Puccini remains a mystery. The first Garbo film I ever saw (aside from the clip from Camille in Annie) was Grand Hotel. I thought, “Geez, what a terrible overactor!” Then I saw a string of others (including Queen Christina) which didn’t impress me. Then I saw Ninotchka. Her silents are superior to her talkies overall; her aloofness worked well in the medium. I love the score on the VHS release of The Mysterious Lady; it is moody and somewhat modern but it compliments the film well. I know a lot of people dislike and even loathe Two faced Woman, but I think it is a lot of fun. It was certainly a departure for Garbo, and I could see someone like Carole Lombard playing the part. But I think she pulls it off and could have gone on making enjoyable films for many years. Can’t you just imagine her in those noir dramas as the cold-hearted woman from around the block pulling the strings behind the scenes?